Now that may seem like a strange title for an article coming from a pastor of an evangelical church, but it’s nonetheless a good question that needs to be revisited from time to time. Since worship attendance is in decline in America I assume this means as well a decline in real followers and disciples of Jesus too. When people get into conversations about religion and faith I have often heard folks say things like “ judge not” or "it's not my place to judge": This is such a typical disclaimer for people who just probably don't know what a Christian is anymore. I have heard people say thingss like " I never worship with others" and "I would rather do my own thing alone to connect with God". People who never read the bible, hardly pray or seldom do what the original followers of Christ did still call themselves "Christians". 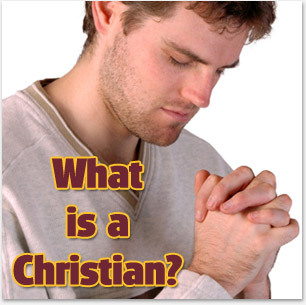 So what is a Christian? Is it what one intellectually believes even if their lifestyle never reflects it? Is it "doing" certain things on a routine basis as the bible instructs even if one's heart and life does not desire or authentically identify with it? Is it being a member of a certain church? Over the years I have meet so many people who have said they were Christians from all kinds of angles that I got to ask again in the day we live “ What is a Christian?” Does getting baptized make you one? Is it taking classes? Is it receiving communion? Is it being a member of a church? It is going to church services in some frequency? It is possible for many to presume they are Christians when in reality they are technically not? This is a really strange day indeed. Can you define what a Christian is? Is your definition a biblical one? Can anyone know for certain if they are a Christian or not? Well, I bet you are thinking I will end this article with answers for you, right? Absolutely not, but I will leave hints! Being a disciple ( Christian) means really knowing the answer to these questions based on what God's Word says about them. How do I know what a true Christian is? I discovered the Truth and it set me free. May God reveal to you the truth about how to know what a true biblical Christian is. Check out John 3:3 and read on! Seek Him while he maybe found.